The third time was the charm for the Cantwell Sacred Heart of Mary girls basketball team. The Cardinals, who played in three tournaments this month, won their own Cardinal Classic on Tuesday, scoring a 47-33 victory over Whittier in the title game. Super Soph Lilly Perkins led Cantwell with 19 points and 11 rebounds. Vanessa Espinosa had 10 points, five rebounds and three steals. Cantwell improved to 11-2. Espinosa was tournament MVP, with Perkins and Steph Guera earning all-tournament. WHITTIER — They don’t give out league or divisional boys basketball championships in December, but if they did, Wilson High School might be on the top of the list. No area team appears to be playing better than the Wildcats in December. Justin Chan scored 21 points and Kyle Price had 14 as Wilson won its second tournament of the month with a 55-50 victory over host Whittier to claim the fifth Whittier Holiday Tournament at the Bob Chandler Sports Complex. Jared Kawamoto also had seven points and eight rebounds for Wilson, which improved to 13-2. 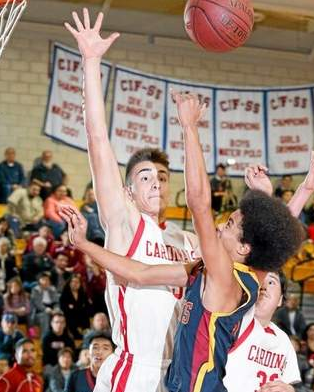 Dominic Saldana had 21 points and Anthony Rios 12 for Whittier, which slipped to 11-2. THE 2014 DAILY NEWS ALL-AREA TEAM PUBLISHED IN THE TRIBUNE ON CHRISTMAS DAY! 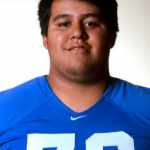 El Rancho High School’s Andrew Perea, outside the Don community, was somewhat an unknown commodity to begin the season. The senior, who had a limited role last season, doesn’t have to worry about that now. 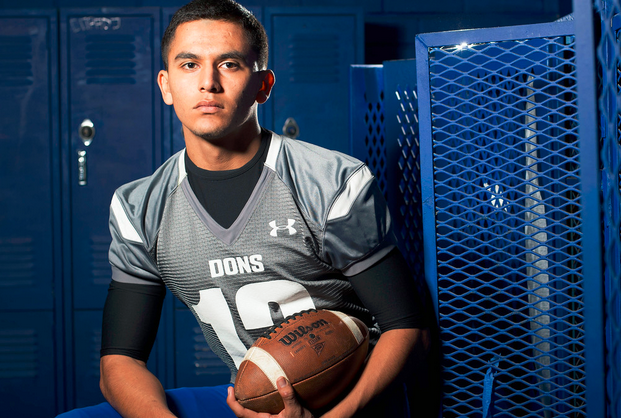 Perea enjoyed one of the better seasons in recent memory, accounting for more than 3,000 yards and leading to Dons to their first league title in 17 years. 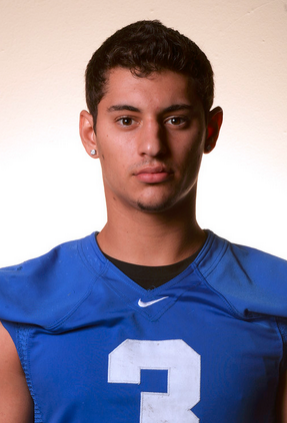 For his efforts, Perea is Daily News Player of the Year. 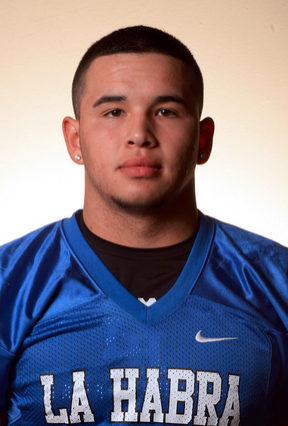 “He played phenomenal and had a great season,” said El Rancho coach Vinnie Lopez, whose team was 8-3. “Hat’s off to him. His numbers are a reflection of what the team did. The offensive line was great up front, and we had four outstanding receivers that made plays. But Perea was no doubt the focal leader. He proved to be a double-edge sword for opposing defenses, who had to pick their poison when they faced the Dons. 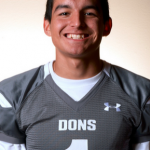 As a passer he ranked among the area leaders, throwing for 2,275 yards and 20 touchdowns. But he also added a running dimension, rushing for 828 yards and 14 scores for 34 touchdowns on the season. 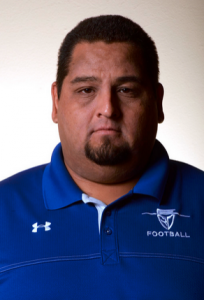 He took advantage of Lopez’ spread offense scheme. Perea was steady all season. 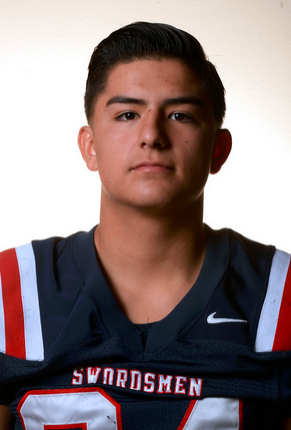 He threw for 200 yards or more six times, led by 418-yard, four-touchdown effort against rival La Serna. The Dons secured a 42-35 victory over the Lancers. It gave them a foothold on the Del Rio League and set up the team’s run to their first league title since 1997. There was nothing complex about the Montebello High School football team’s offensive gameplan this season. 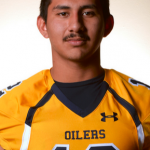 It centered around senior running back Isaac Mendibles, who despite being a marked man still manage to lead the area in rushing en route to helping the Oilers to a the Almont League title and a spot in the Mid-Valley Division quarterfinals for the second consecutive season. For his efforts, Mendibles is Daily News Offensive Player of the Year. 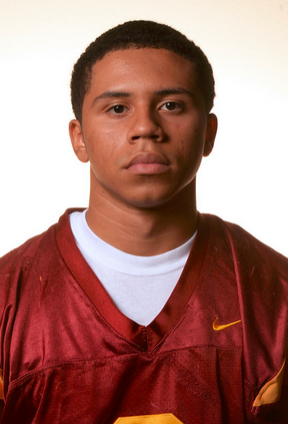 Mendibles was a rushing machine, leading the area with 1,943 yards and 24 touchdowns. That would be difficult to imagine, considering how good it was for Mendibles this season. He rushed for at least 100 yards in 10 of the Oilers’ 12 games, while also breaking 200 yards three times, including running for 336 and six touchdowns in a 49-16 victory over Mark Keppel in October. Also adding to Mendibles success is the what Montebello did as a team. The Oilers recovered from a 1-4 start to begin the season with sixth consecutive wins en route to the Almont League title. They beat La Puente 24-17 to open the playoffs before losing to Northview in the second round. “It’s a great accomplishment for the school (to win league in back-to-back seasons),” Mendibles said. “It was only the second time in school history. The team did great. 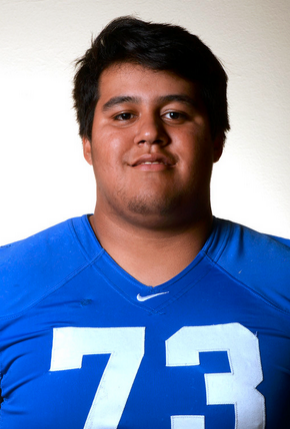 A switch in positions made all the difference for El Rancho High School’s Adrian Palacios. The senior, who played the previous two seasons at outside linebacker, moved inside this season and he followed with a dominant season. 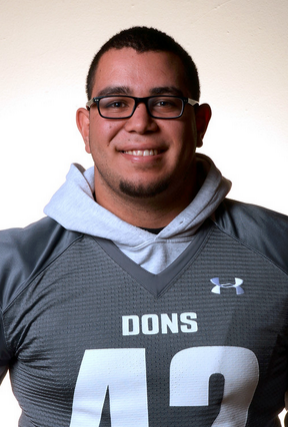 Palacios proved to be a force for the Dons, keying their best season in 17 years. 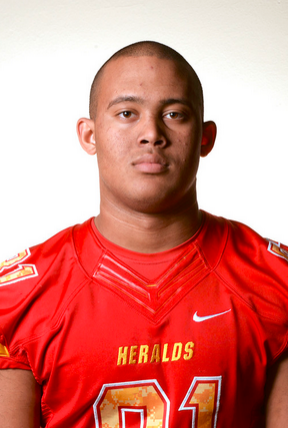 For his efforts, Palacios is Daily News Football Defensive Player of the Year. Palacios led the team in tackles, with 106, 12 of which were for losses. He also had two interceptions. He also played his best late, averaging 13 tackles in the team’s last five games, including 21 vs. California. But he also knows that the togetherness that keyed El Rancho’s run to its first league title since 1997. 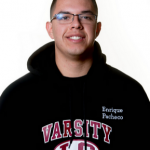 The third time proved to be the charm for the Dons and Lopez, who enjoyed a break-out season in his third year in Pico Rivera. 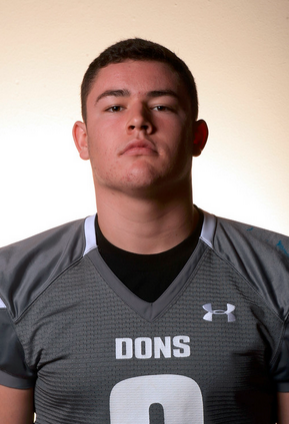 The Dons went 8-3, beat rival La Serna and won the school’s first league title in 17 seasons. The highlight was a 42-35 victory over La Serna, which paved the way for the Del Rio League title. 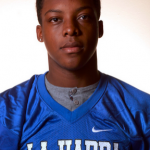 Brown brought a lot of promise when he transferred to La Mirada from Servite, and he lived up to those expectations. He was one of the big reasons for the Matadores’ turnaround from 4-7 the previous season to Suburban League champs this season. He had 46 receptions for 993 yards and 11 touchdowns. Brown was Suburban League Player of the Year and first team All-CIF-SS Southeast Division. Barriere played a major role in the Highlanders winning another Freeway League title. He was the focal point of the offense, accounting for 2,691 yards and 30 touchdowns. He was Freeway League MVP after throwing for 2,108 yards and 24 touchdowns. 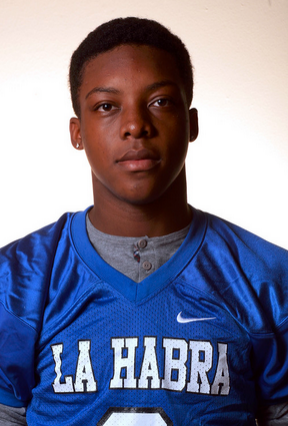 Martin was part of the Highlanders’ one-two punch along with quarterback Eric Barriere. 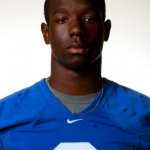 He ranked second in the area with 1,425 yards and also scoring 21 touchdowns. Martin was Freeway Offensive Most Valuable Player. Lowden had a break-out season for the Condors. 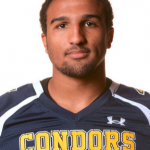 He ranked among the area leaders in rushing, running for 1,318 yards and 18 touchdowns. 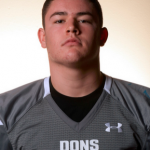 Lowden was first team All-Del Rio League. 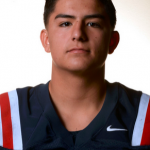 Cuellar was just second team All-Del Rio League, but his numbers said otherwise and he proved to be one of the area’s best offensive weapons. 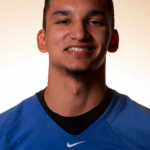 He set a school record with 71 receptions, while also having 660 yards and seven touchdowns. 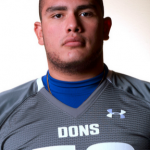 He, along with Perea, played a major role in the Dons winning their first league crown since the late 1990s. Ashton was the Lancers main passing option and helped the Lancers reach the semifinals for the fifth consecutive season. 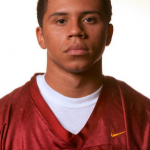 He has deceptive speed, and was a Wes Walker type on the field, catching 69 passes for 962 yards and 10 touchdowns. He had a key catch in a quarterfinal win over top seed St. Francis and made two big touchdown grabs in the semifinal loss to Crescenta Valley. 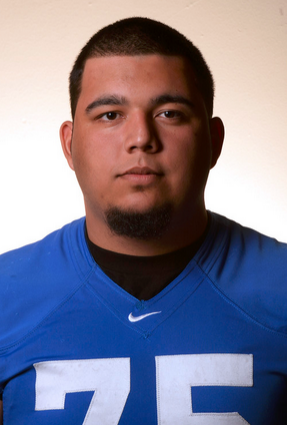 He was first team All-Del Rio League. 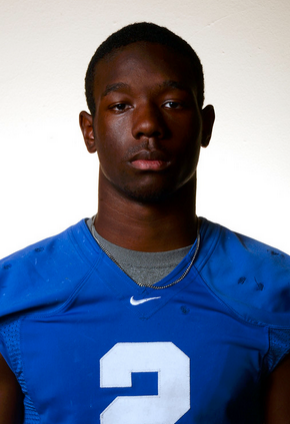 Evans was arguably the top receiver in the area. Nobody caught more passes than his 91. He also led the area in receiving yards with 1,256 and receiving touchdowns with 12. 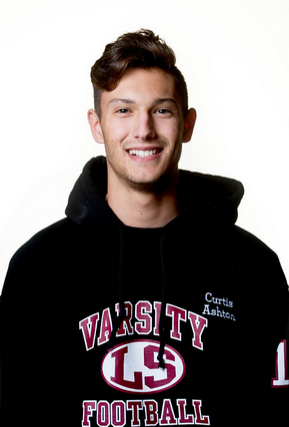 The senior was first team All-Olympic League. Was a key member for the Dons, who won the school’s first league title in 17 seasons. Anchored an offensive line that paved the way for El Rancho to average nearly 40 points and just over 400 yards a game. 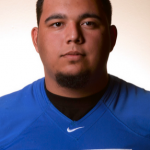 He was first team All-Del Rio League, receiving more votes than any other linemen in the league. Offensive line play has been a strength for the Matadores in recent seasons and that did not change in 2014, which featured two blocks of granite. The first was Cerillo Huizar, who anchored a line that paved the way for La Mirada to average 38 points and 180 yards rushing a game. 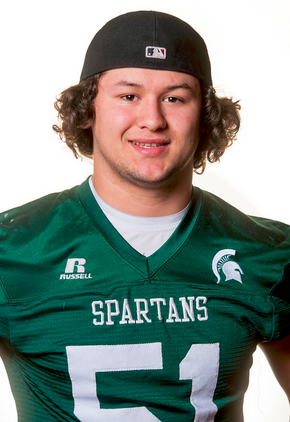 The senior was Suburban League offensive line MVP and first team All-CIF-SS Southeast Division. The other part of the Matadores’ Great Wall. 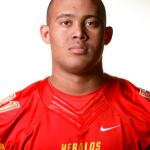 Lojero is a fierce run blocker with the agility to protect in the passing game. 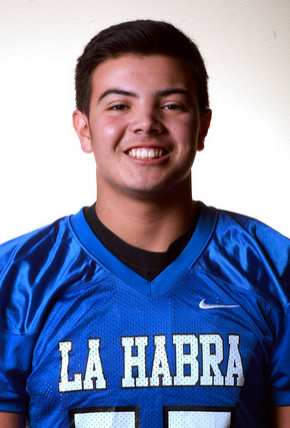 He helped La Mirada average 38 points and 180 yards rushing. The senior was first team All-Suburban League. Earl was the top center in the area. Earl paved the way for quarterback Eric Barriere to account for nearly 2,700 yards and running back Carlos Martin to rush for another 1,400. The Highlanders also averaged 43 points a game. Earl was first team All-Freeway League. Mikhail was a key player for the Condors, who went 6-5 and advanced to the Southeast Division playoffs. 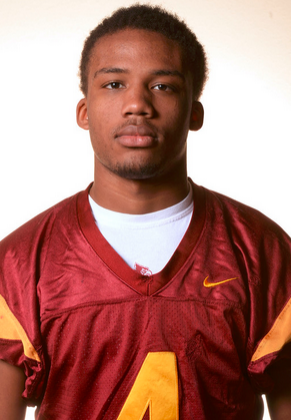 He paved the way for California to average 28 points and nearly 200 yards rushing a game. 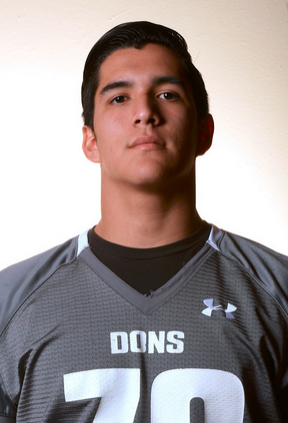 The senior was first team All-Del Rio League. Lara was one of the two difference makers for the Matadores, who went from 4-7 the previous season to 9-2 and a Suburban League title. 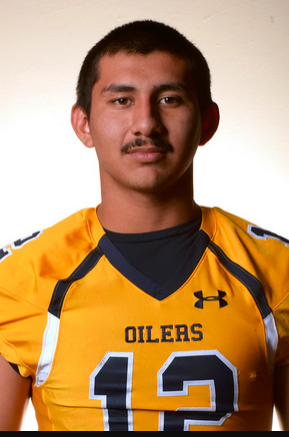 The senior, a transfer from Santa Fe, accounted for 2,390 yards and 31 touchdowns. He also threw for 2,142 yards and 28 touchdowns, which topped the area. 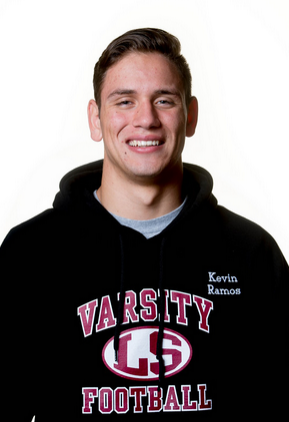 He was Surburban League offensive MVP and first team All-CIF-SS Southeast Division. 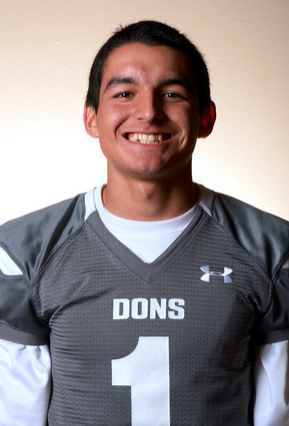 Lozano combined accuracy with length strength to be one of the top kickers in the area. He tied for the area lead with longest field goal with a 51-yarder, and made 28 of 29 conversion kicks. He also had eight field goals and had 24 touchbacks. Lozano was first team All-Amont League. Haddad was definitely someone opposing teams accounted for . 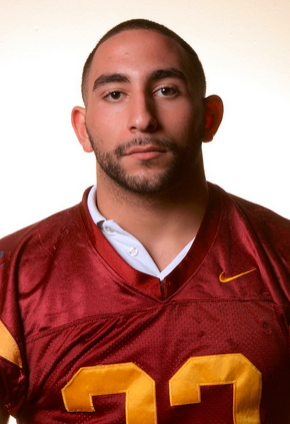 He was a big player on defense and helped Cantwell to an 8-3 record and a share of the South Catholic League title. 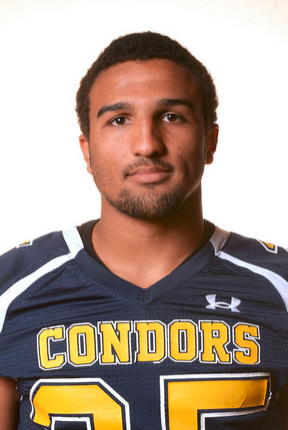 The junior had 84 tackles and led the area with 14 sacks. He was co-defensive MVP in the South Catholic League. 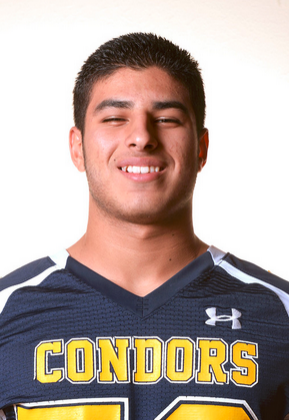 Allen was arguably the top defensive lineman in the Del Rio League. He had 64 tackles and 19 tackles for a loss, 12.5 which went for sacks. 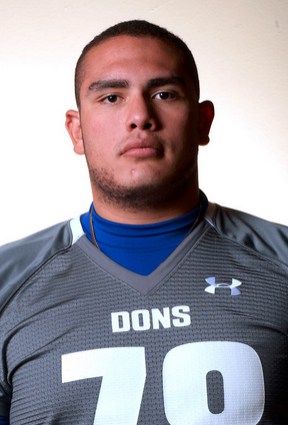 Allen was first team All-Del Rio League and was the top vote-getter among defensive linemen. 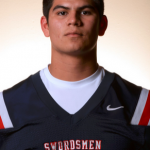 Gallardo was solid up front for the Swordsmen, who were 4-6. The senior had 39 tackles and four sacks for St. Paul, which doubled its win total from the previous two seasons and was in the playoff hunt until the final weekend. 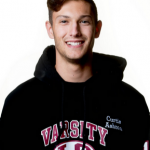 He was first team All-Angelus League, which was the top league in the Southeast Division. Dauphiney did a little of everything for the Cardinals, which shared the South Catholic League title. As a linebacker, he had 95 tackles and four sacks to key the defense. He also rushed for 1,196 yards and 10 touchdowns. He was first team All-South Catholic League. 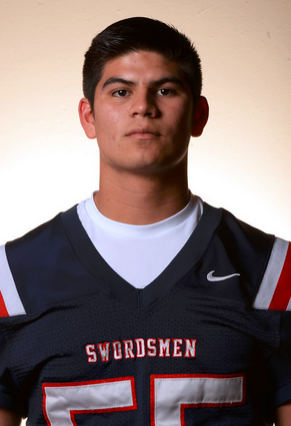 Castillo was steady, not flashy for the Swordsmen, who were one of the most-improved teams in the area. He proved to be a force in the center of the defense. He had 42 tackles and four sacks. He was also first team All-Angelus League. The Spartans have been known for their defene in recent seasons and Perez lived up to the trend. 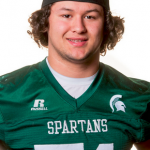 He was one of the top defensive players in the Almont League, earning co-league defensive MVP. 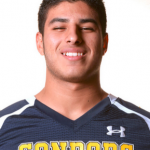 Perez had 41 tackles and 12 sacks, the latter which ranked among the best in the area. Ramos was all-everything for the Lancers, who made their fifth consecutive trip to the section semifinals. 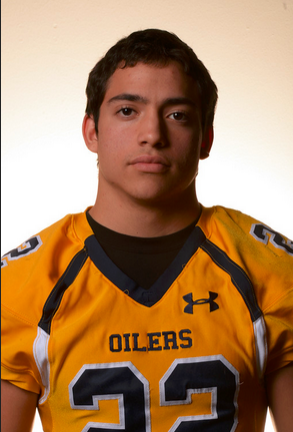 The senior was first team All-Del Rio League on defense after securing 72 tackles. 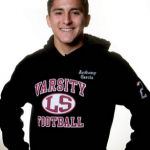 He was also a key in La Serna’s Wing-T rushing attack, with 778 yards rushing and 11 touchdowns. 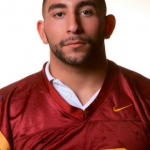 Caggiano was a versatile player for the Matadores, playing pivotal roles on offense and defense. 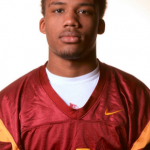 He was a solid defender and earned Suburban League defensive back MVP. He was also an option on offensive with 36 receptions for 423 yards and six touchdowns. 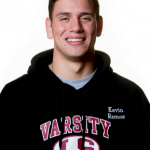 Araujo was one of the top athletes in the area. 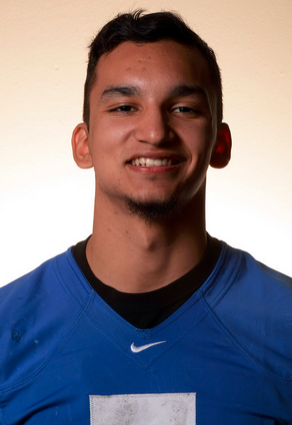 He played a big part of El Rancho’s success, helping on offense and defense. As a defender, he was solid in the secondary. On offense, he was one of the top receivers, with 701 yards and five touchdowns. 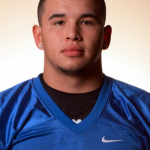 He was first team All-Del Rio League. 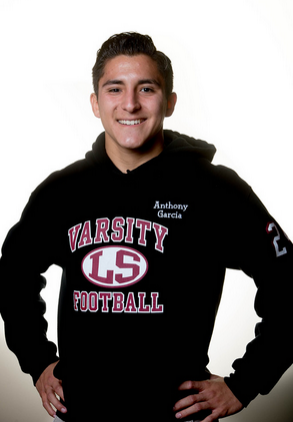 Garcia played a pivotal role in the Lancers advancing to the division semifinals for the fifth consecutive season. He was steady on defense, with 26 tackles and three interceptions. On offensive, he rushed for 693 yards and had 10 touchdowns. 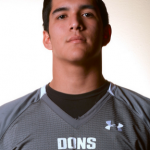 He was first team All-Del Rio League. Ruffin was one of the more versatile players in the area, helping the Cardinals in all three phases. 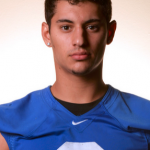 He led the area with six interceptions, including averaging 28.5 yards a return. He also had 26 receptions for 693 yards and eight touchdowns, while also averaging 29 and 13 yards, respectively, on kickoff and punt returns. He was first team All-Catholic League. 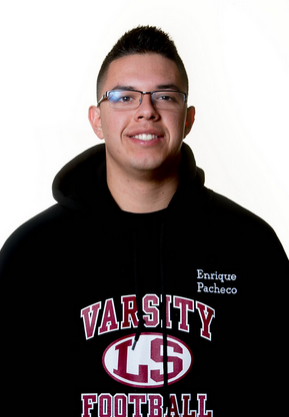 Pacheco, who replaced area legend Frankie Palmer at La Serna, was one the region’s top quarterbacks, but also showed his ability as a punter, averaging 34 yards a kick, which ranked among the area leaders. As a QB, he accounted for 2,677 yards and 28 TDs. He was Del Rio League offensive MVP. QB: Jacob Maier, St. Paul, Sr.
RB: Justin Osborn, Whittier Chr., So. 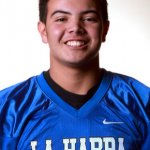 RB: Anthony Pina, Whittier, Sr.
WR: Prince Ross, La Habra, So. WR: Traie Kastle-Givens, California, Sr.
WR: Landon Jones, La Mirada, Sr.
OL: Travis Miller, La Serna, Sr.
OL: Daniel Gardea, Montebello, Sr.
OL: Bryan Velazquez, Montebello, Sr.
OL: Richard Arias, La Habra, Jr.
OL: Sergio Gamiz, El Rancho, Sr.
ALL: Phillip Hernandez, Pioneer, Jr.
K: Alexander Vasquez, La Serna, Jr.
DL: Trevor Casados, La Habra, Sr.
DL: Jesus Castro, Montebello, Sr.
DL: Mike Mondragon, La Habra, Sr.
LB: Daniel Campos, La Serna, Jr.
LB: Jonathan Olguin, Montebello, So. LB: Jake Colacion, La Habra, Jr.
DB: Andrew Rosales, Schurr, Sr.
DB: Vance Blackwell, La Mirada, Sr.
DB: Danny Uribe, La Habra, Sr.
DB: Jon Ceballos, La Serna, Jr.
P: Jacob Munoz, St. Paul, Sr.
Schurr: Christopher Gonzalez, Adam Polanco, Noah Quintero, Peter Garcia. Danielle Lee might read that crucial putt six, seven or 10 times now. In previous seasons, the La Mirada High School senior might have read a putt three or four times. “I learned I just to have fun and be patient while I’m playing,” she said of her senior season, which included a berth in the CIF State-WSCGA Foundation championships. The season highlight may have been the CIF’s Southern California regional at Arrowhead Country Club, matching all of the top individual and team golfers from Bakersfield to San Diego. She had six birdies and finished with a 4-under-par 68 to finish in a four-way tie for first place. She was one of nine individual golfers to earn a berth in the CIF State tournament at Rancho Cucamonga’s Red Hill Country Club. La Mirada’s Danielle Lee had six birdies and finished with a 4-under-par 68 to finish in a four-way tie for first place at the Southern California finals. She was one of nine individual golfers to earn a berth in the CIF State tournament. The win enabled Lee to reach the state finals for the second consecutive year. 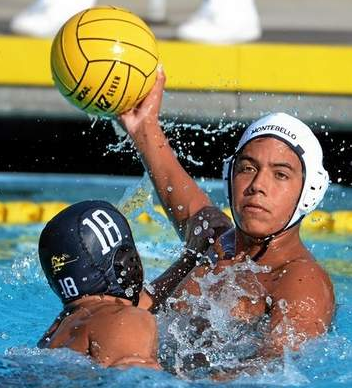 The best feeling in the high school water polo world, Daniel Arellano said, is scoring a goal in the CIF-Southern Section Division 3 finals. The sad part for the Oilers’ point man was suffering a 12-8 loss to Laguna Beach in that game. “It was the first time we had been to the finals in my four years,” he said. It could have almost been labeled a homecoming of sorts. The Oilers had not been to the finals in five years; but they had made regular appearances in the finals for the previous six seasons. On this team, nearly every starter had played together since all were 6-year olds competing in the City of Commerce water polo program.